Corbin Bleu Reivers is an American actor, dancer, producer and singer. This biography profiles his childhood, family, personal life, achievements and some interesting facts about him. Corbin Bleu Reivers is an American actor, dancer, producer and singer. He is known for his breakout performance in Disney’s ‘High School Musical’, in which he played the lead role of Chad Danforth. 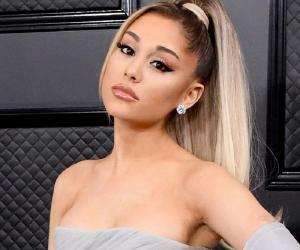 The actor has also appeared in Disney’s ‘Jump In!’Corbin is also an accomplished singer, whose song ‘I Don’t Dance’, performed along with Lucas Grabeel, was ranked among the top 10 in Billboard Top 100. His first solo album, ‘Another Side’ debuted at number 36 in Billboard 200. He has also performed in the Broadway production of ‘In the Heights’ and ‘Godspell’. He has gone onto appear in TV series like ‘One Life to Live’, ‘Psych’, ‘Franklin & Bash’ and ‘Hannah Montana’ among many others. Bleu, along with professional dancer Karina Smirnoff, was the runner-up of the 17th season of ‘Dancing with the Stars’. The actor is also associated with charities like Starlight Children's Foundation and Make-A-Wish Foundation. He regularly contributes to the welfare of children and society. Corbin Bleu was born to David Reivers and Martha Callari on February 21, 1989 in Brooklyn, New York. His father is of Jamaican descent and his mother is of Italian-American descent. Bleu has three sisters –Jag, Hunter and Phoenix. Early in his life, Corbin was influenced by his father who was an actor himself. Bleu took up dancing at an early age and practiced Ballet and Jazz. His entire family relocated to Los Angeles in 1996 and his passion for dancing led him to the Debbie Allen Dance Academy. From there, he went on to study theatre at the Fiorello H. LaGuardia High School of Music & Art and Performing Arts. Bleu had started appearing in TV commercials for products like Bounty, Hasbro, Nabisco at a very young age. His talent got him associated with the Ford Modeling Agency in New York. By the age of four, Corbin was already appearing in print ads for Macy’s, Target, Toys “R” Us and Gap. He was only six years old when he appeared in his first theatre production off Broadway. He played the role of a mute child in ‘Tiny Tim is Dead’. This, along with his dancing, would lay the foundation for a strong acting career. Corbin started getting minor roles in TV series and movies after moving to Los Angeles. On December 12, 1996, he appeared in the NBC medical drama ‘ER’ in the episode, ‘Ask Me No Questions, I'll Tell You No Lies’. The network ABC also cast him in a recurring role in their show, ‘High Incident’. He played a small role as Johnny in the sci-fi action movie ‘Soldier’ in 1998.The young actor continued his success streak and made an appearance in the TV show ‘Malcolm & Eddie’. In the series, he was seen in the episode ‘Menace II Theology’ as Matthew. He also played a small role in ‘Beach Movie’. In 1999, Corbin appeared in multiple movies, playing minor roles. He was cast as Butch in the adventure movie ‘Mystery Men’, which premiered on August 6 and as Ricky in the movie, ‘Family Tree’. He also played the character of Young Tommy in the sci-fi movie ‘Galaxy Quest’, alongside Tim Allen. He was cast in the role of Nick Elderby in the episode ‘Our Mr. Brooks’ in the TV series, ‘Cover Me: Based on the True Life of an FBI Family’. In 2000, he appeared in two episodes of ‘The Amanda Show’. In 2004, he landed his first major role in the action movie ‘Catch That Kid’ and acted with the likes of Kristen Stewart. Although the movie made only $16 million, the young actors were praised for their performances. From 2005 to 2007, Bleu found himself playing the role of Nathan in the popular Discovery Kids TV series, ‘Flight 29 Down’. The show was aired for three seasons and followed a group of teenagers, stuck on an island after their plane crash lands. 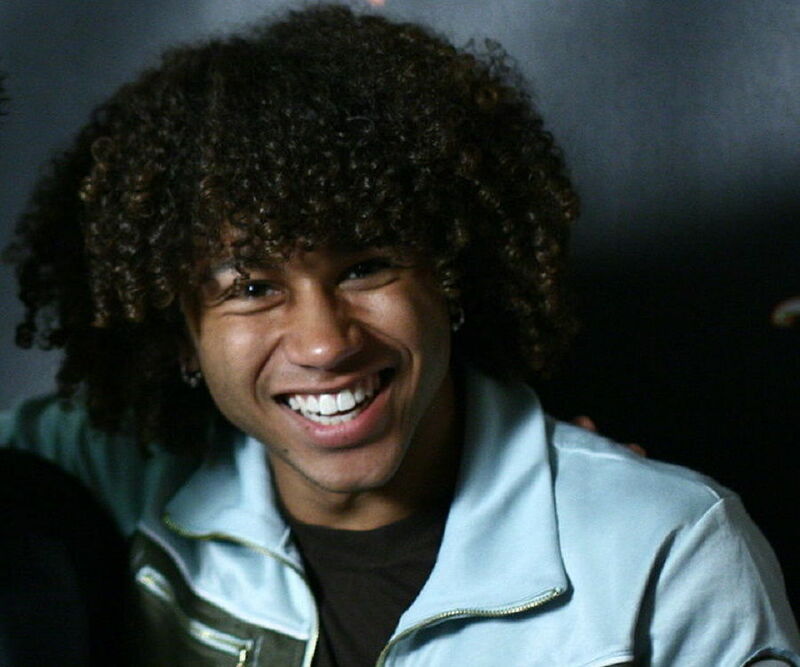 2006 became the turning point in Corbin Bleu’s career as he was cast as Chad Danforth in the telefilm ‘High School Musical’. The film would catapult its cast, which included Zac Efron, Vanessa Hudgens and Ashley Tisdale to fame and popularity. The film premiered on January 20 and was seen by 7.7 million TV viewers. Bleu also performed with the entire cast in ‘High School Musical: The Concert’ and later in 2007, he returned for the sequel, ‘High School Musical 2’. Following the success of its prequel, the premiere of ‘High School Musical 2’ was watched by more than 17 million viewers. It instantly became the highest rated Disney Channel movie of all time. ‘High School Musical 2’ also showed the actors’ singing and dancing abilities as the soundtrack had a number of songs. The song ‘I Don’t Dance’, also featuring Lucas Grabeel, was Corbin’s first major hit and was among the top 40 songs listed in the2007 Billboard Hot 100. Recording Industry Association of America (RIAA) certified the song as ‘Gold’. The actor also started recording songs like ‘Two Worlds’ for Disney. Bleu was also cast in the lead role of Izzy Daniels, a young boxer, in ‘Jump In!’The movie premiered on April 27, 2007. 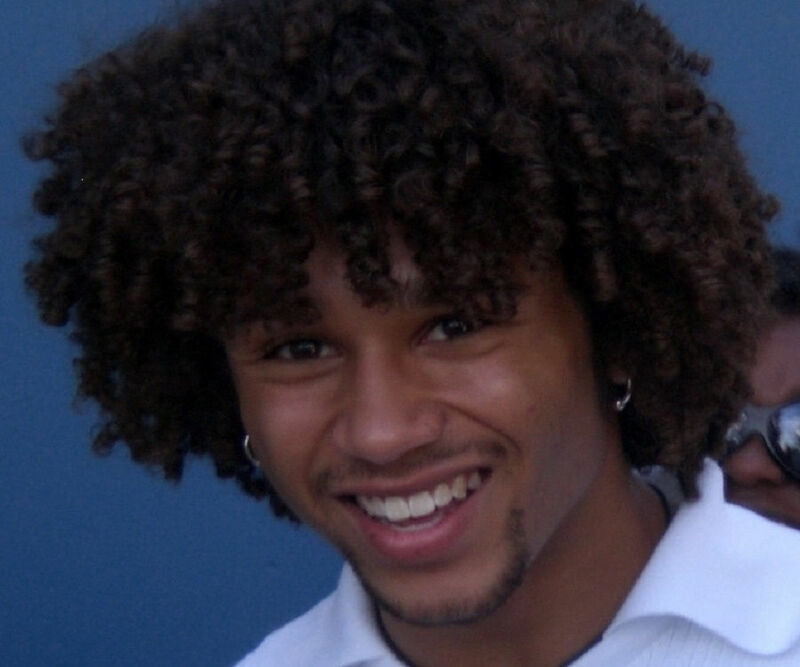 The track ‘Push It to the Limit’, sung by Corbin Bleu became a massive hit. Between 2006 and 2007, Corbin appeared in two episodes, namely ‘Revenge & School Records’ and ‘Dismissal & School Plays’ of the TV series, ‘Ned's Declassified School Survival Guide’. The young actor also made guest appearances as Johnny Collins in Disney Channel’s smash hit, ‘Hannah Montana’. In 2007, the actor once again played the role of Nathan in the TV film ‘Flight 29 Down: The Hotel Tango’. He also voice acted in the animated movie, ‘The Secret of the Magic Gourd’. The much awaited return of the third installment of ‘High School Musical’ once again saw Bleu in the role of Chad Danforth. The movie was the first in the series to get a theatrical release and became the highest grossing movie of the series with a box office collection of $252.9 million. In 2009, Corbin lent his voice for the character Coltrane for two episodes of ‘Phineas and Ferb’. He also appeared in the TV series, ‘The Beautiful Life’. He was also cast in the lead role of the movie ‘Free Style’. From 2010 to 2012, Bleu appeared in a number of TV shows like ‘The Good Wife’ in the episode ‘Cleaning House’. He was also seen in ‘Blue Bloods’ as Officer Blake in the episode ‘Family Business’. In 2013, the actor was cast as Jeffrey King in the TV series ‘One Life to Live’, in which he starred in 40 episodes. He also had a small role in the horror movie, ‘Nurse 3D’. He then participated in the 17th Season of ‘Dancing with the Stars’ with dancer Karina Smirnoff. He guest starred in the USA Network TV series ‘Psych’ and then played the role of Michael in ‘Drop Dead Diva’. In 2016, Bleu was cast in the role of Hunter in episode ‘Tone Death’ in the TV series, ‘Castle’. Bleu has filmed a yet-to-be released movie titled ‘Ovid and the Art of Love’ and is involved with a project named ‘The Day I Died’ which will deal with the serious issue of bullying. In addition to singing for Disney movies, he is associated with Hollywood Records. Bleu released his debut album ‘Another Side’ on May 1, 2007. His second album ‘Speed of Light’ was released on March 10, 2009. He has recently signed a single-album deal with The Ghostlight Records to release his ‘Holiday Inn, The New Irving Berlin Musical’ soundtrack. Corbin Bleu won the Theatre Student of the Year award at the LA High School for the Arts in 2005. In the 2007 Poptastic Awards, he won an award in the Male Singer category. He won the Best Male Performance award at the Chita Rivera Awards for Dance and Choreography for his performance in ‘Holiday Inn, The New Irving Berlin Musical’. Corbin Bleu married actress Sasha Clements on July 23, 2016 after dating her for five years. He has been actively associated with a number of charities and in 2005 he served Thanksgiving Dinner and Christmas Eve lunch at a shelter for the homeless in Los Angeles. Bleu has also worked for charities like ‘Starlight Children's Foundation’, ‘St. Jude Children's Research Hospital’ and the ‘Make-A-Wish Foundation’. He also partnered with Kevin Jonas, Aimee Teegarden and JoJo to donate $100,000 to the nominees of the Do Something Awards, a ceremony that appreciates people who involve themselves in charity works.